WILLEMSTAD - Four InselAir creditors voted against the agreement with InterCaribbean. This can be deduced from the official report of the creditors' meeting. It concerned creditors who all get only a small part of their money back with the deal that is now on the table. World Fuel Services, for example, will receive more than one million from InselAir, but all creditors will receive a maximum return of 3000 guilders for the time being. The rest of the 1280 creditors did not vote against. This means that the agreement with InterCaribbean can be signed: two-thirds of the creditors had to agree. 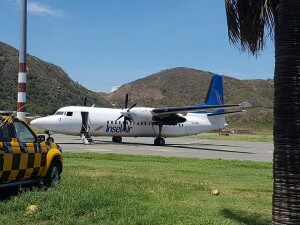 By deal, InterCaribbean invests more than 11 million in InselAir. The total debt of the airline is 133 million guilders.